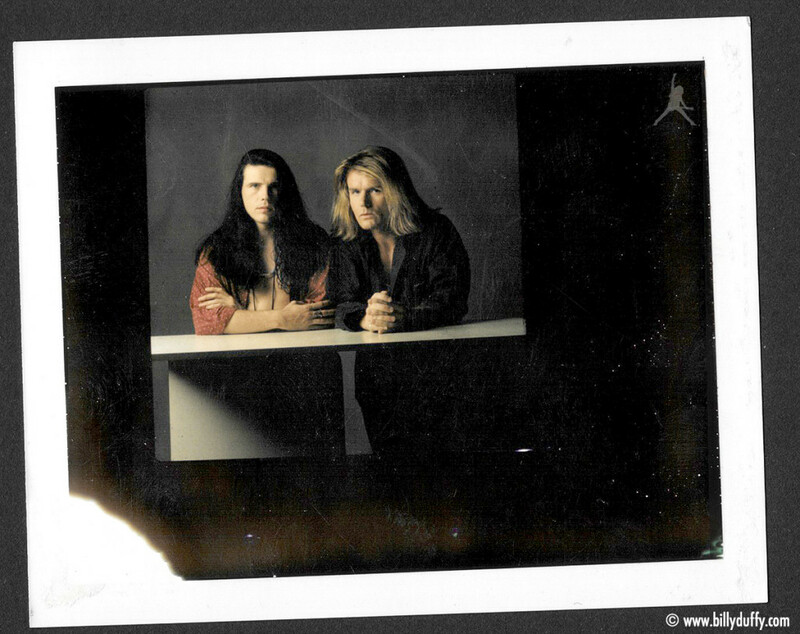 "Polaroid from a 'Ceremony' era Cult photo shoot with Ian. Neither of us were very happy with the way we looked in this session hence I don't think it got used. It's odd but sometimes when you are off making an album for months and then return to the visual promotional side of the job it can take a 'minute' to get your 'look' together..."